A light, 30-minute vegetarian dinner for spring weeknights. 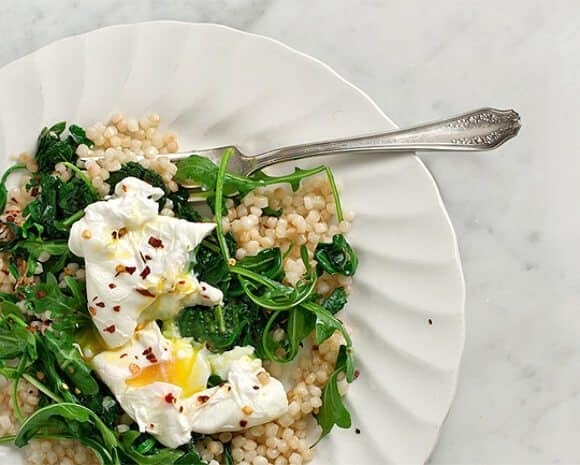 Poached eggs top sautéed greens & Israeli couscous. Brightened with a squeeze of lemon. I think I might make a new category on the side bar over there to the right. 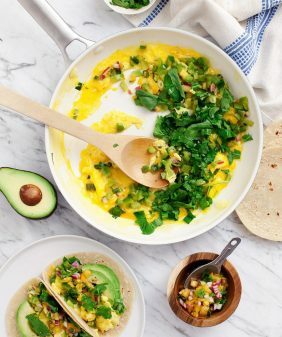 In addition to “savory” and “sweet”, I could soon fill an entire category called “things with eggs.” I eat them almost every morning in the form of a scramble, omelette or a breakfast taco… but I especially love runny, yolky eggs for dinner. A poached egg instantly turns something incredibly simple into a fancy meal. (Or nature’s perfect sauce, as Jack calls it). I had never actually poached an egg before this. I have one of those cheater egg-poaching pans… but a dome egg out of that pan would not have been photo-worthy, so I took a stab at doing this the real way. I was going to report back with news that poaching eggs is not the hard and scary thing I thought it would be – that it was a snap and I got it right on the first try. And while it was and I did, a few mornings later I could not recreate that success for the life of me. If anyone has a pro-tip for poaching perfect eggs, please share! In a medium saucepan over low heat, toast the couscous in a splash of oil, stirring occasionally. Add a pinch of salt and 1 cup water and bring to a boil. Cover, reduce heat, and simmer for 8-10 minutes until tender but al dente. In a large skillet over medium heat, drizzle olive oil to coat the bottom of the pan. Add the minced garlic for a minute or two, stirring frequently so it doesn't burn, and add the greens to the pan, stirring the greens around so they wilt somewhat evenly. Add the broth, a squeeze of lemon, and a few pinches of salt. Remove the greens from the pan once they’re wilted. Fill a saucepan three quarters full of water, add vinegar, and cook over high heat until bubbles barely break the surface. Crack the eggs into the water and gently stir around so they don’t stick to the bottom or sides of the pan. Cook 3 minutes each and remove from water with a slotted spoon. Sprinkle with a few pinches of salt. 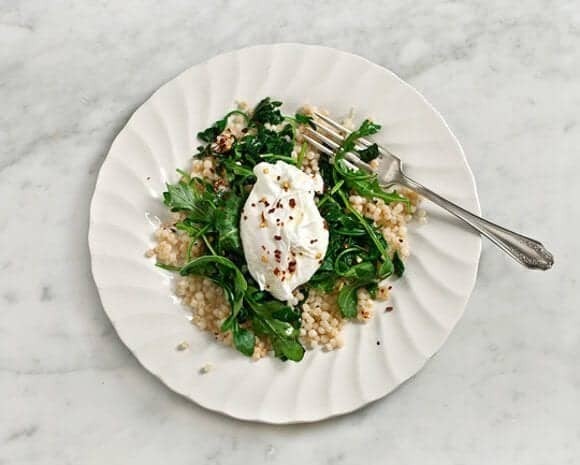 Assemble plates with couscous, greens, and an egg. Shave fresh pecorino on top and drizzle with olive oil if you like. That’s so frustrating when you can’t recreate something! 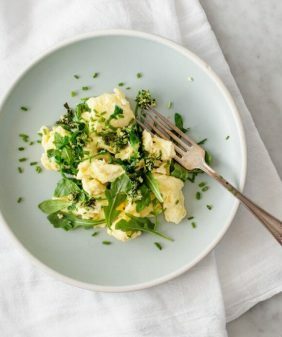 I am not a poaching expert, but I’ve heard this is a great method that I hope to try soon http://smittenkitchen.com/2008/08/how-to-poach-an-egg-smitten-kitchen-style/. 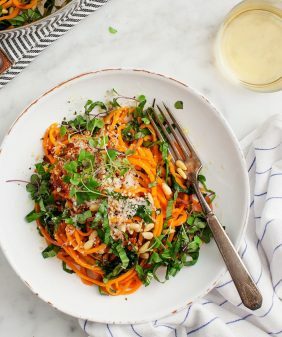 This dish looks incredible! Seems like heaven to me! The perfect light lunch between university and work. great idea! Were you using brown eggs? The whites of brown eggs are very runny, therefore more difficult to poach. 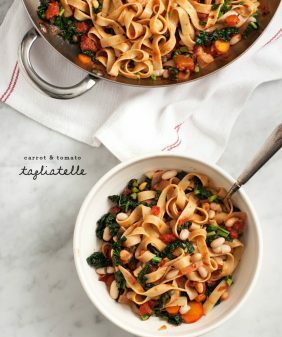 I love your blog – I love the clean design approach and your food looks DELICIOUS! i was using brown eggs, but I also was the first time and they came out perfect… but good to know, maybe I’ll try white ones next time. Your recipe and the latest post at My New Roots are motivating me to get over my fear of runny yolks. It took me a long time to learn to like eggs, and now I love them in scrambled form, but I’m still have an irrational fear of poached eggs. Sigh. Maybe try the soft boiled egg first, there’s a thicker white around them and they’re less runny than poached eggs. I’ll be trying this on my 3 burner Coleman stove tonight! I’ve been salivating over it all week! I’ll probably do a blog post about it and share your wonderful recipe – regardless of fail or victory with poaching my first egg! Most important thing for a perfectly poached egg is plenty of white vinegar in the water, and don’t have the water too high – if it’s boiling the bubbles will smash the egg to pieces! This is beautiful, and looks delicious. It is definitely time for me to hone in on my poaching skills! 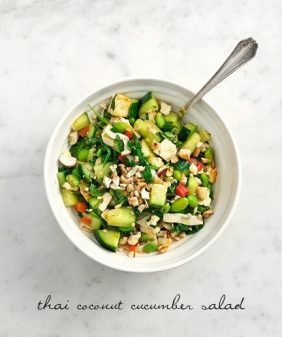 I’m gonna have to try this on Quinoa, but I love the idea!! The fresher the egg the better the whites bind together. I never use vinegar, just bring water to the boil and then swirl the water in one direction with a wooden spoon and drop your egg in. Turn the heat off and put a lid on, wait 4 mins (for a soft yolk) and you’re done. yummy! and such pretty pictures (as usual) – love the one with the broken yolk! ﻿With having so much content do you ever run into any problems of plagiarism or copyright violation? I made the ot with normal coucous. I loved and my hubby loved it. 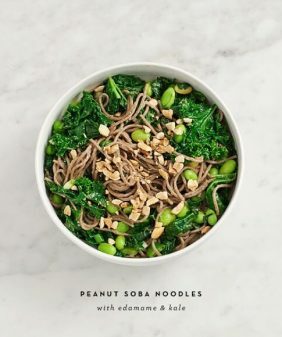 Amazing and healthy dinner for after-work evenings. Thank you! Looks like a delicious and visually appealing way to start your morning!